Last Thursday I was invited, along with local press to the opening of the latest Primark store in Leicester. This store has been a long time coming and everyone I know has been looking forward to and longing for it to be open. It was quite exciting being shown in by security and taken up to the staff area for coffee and croissants. It was an early-ish start let me say, we had to be there for 8.45am and I'd left really early to pick up fellow blogger buddies and none of us had breakfast before we left. The coffee was very welcome I can tell you! The celebratory cake in the shot below was made by a member of staff, a manager I think, how bloody amazing is that?! We were given a tour around the store as the doors weren't open to the general public until 10am and then we joined the excited members of staff that were gathered by the entrance. There were various speeches by the big chiefs and a short video about Primark. This Primark store was opened at Fosse Park. A shopping centre in Leicestershire that attracts over 10 million shoppers a year! Found just half a mile from junction 21 of the M1 it's easily accessible, with lots of stores and FREE parking. Lots of the stores are undergoing renovations so I think it's all going to look quite fancy. Having been going to Fosse Park since it opened way back when they won't mind me saying that a makeover was long overdue. This store is the 171st to open in the UK and the 314th for the company. Wowzers! The staff had all been working really hard to get the store ready and were bursting with excitement bless them, waving their balloons ready for their first customers to burst through the doors! Well, they didn't quite burst in, more a wary saunter down the aisle of staff clapping and cheering them in with the press capturing the moment, I don't think the customers quite knew what to do! 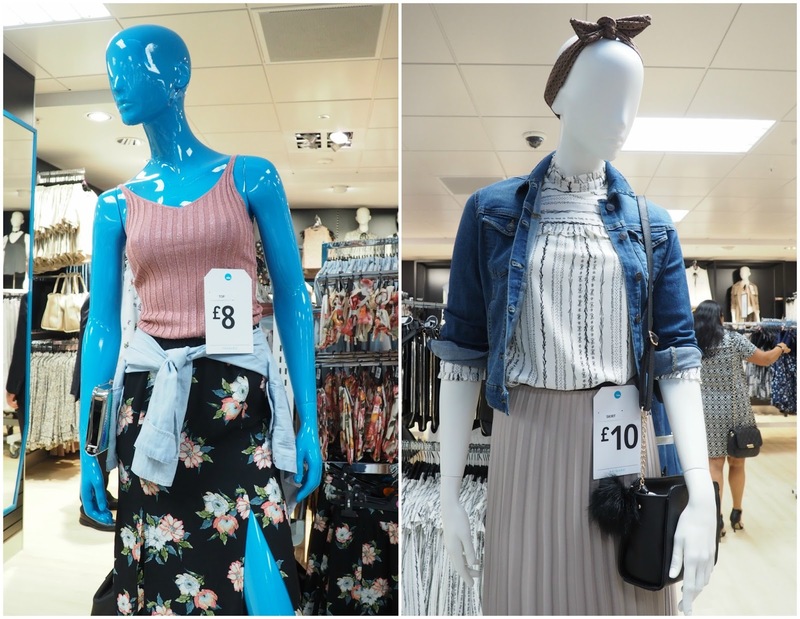 The store is well set out with all the ladies items on the ground floor, which is nice as in our other Leicester store you have clothes on the ground floor, shoes on the next, homeware on the one above that and all you do is spend your time going up and down escalators. This one is much better. The mens and homewares are on the next floor, but I can't remember where the kids section is. The homeware section in this store is fab, so much to look at. As I was wandering around on our guided tour I kept spotting bits I'd like. These are the cutest little pineapples ever. I bought two. They're pot and they are candles, and let me tell you they smell amazing when you take off the lid. I haven't burnt one yet, they're too cute and I want them to last forever, although you can obviously keep the pot once its gone. Err......great for photo props too! Before I finish I need to let you lot know they now sell the most adorable stationary range designed by Gabriella. It's the Geo design in pinks and purples with pencils, pencil cases and notebooks. They also have pink glittery unicorn stationary. Primark know what us bloggers want. Since the opening I've been back twice and picked up some goodies. Two pairs of shoes, a pair of boots, 3 items of jewellery, 2 pineapple candles, however no clothes. 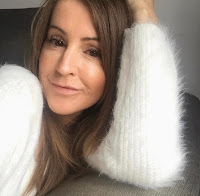 Thing is, I find this time of year a little odd because we're in that transition period and there's still some summer bits around, strappy tops, playsuits etc and then the other half of the store is autumn/winter, it's not quite one or the other and I don't like that. If you follow me on snapchat you'll have seen my haul. If you don't, you certainly should be as I've been told on more than one occasion that I'm very entertaining, and Mr C shows his funny face every now and then too. You can find me at stephaniec41. 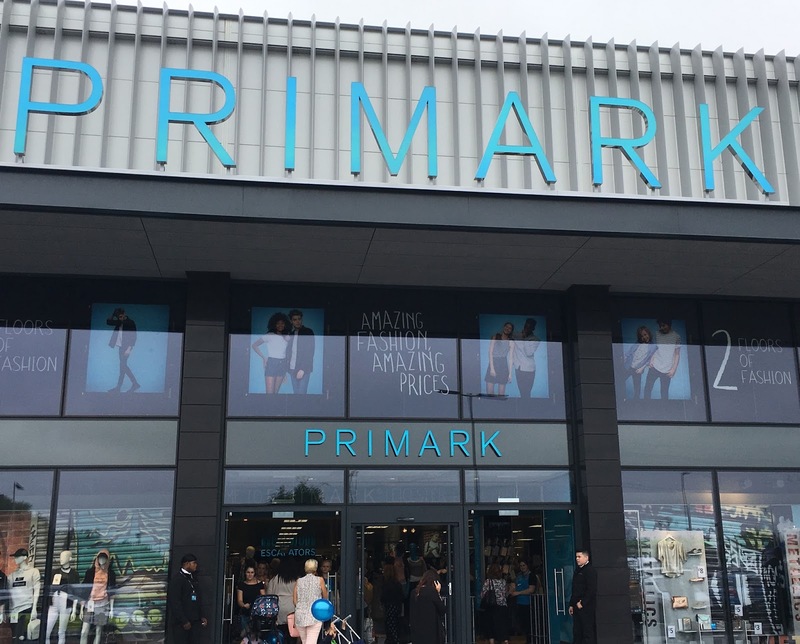 If you love Primark, you'll certainly love this modern spacious store so get yourself to Fosse park pronto! You can find more details here. 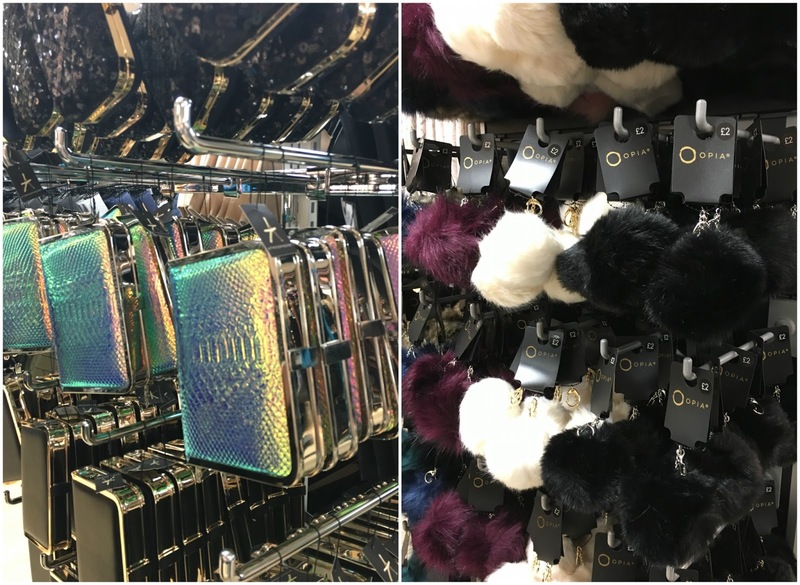 Let me know if you're as much of a Primark fan as I am!